Renewable energy sources are becoming more popular day by day. There are few who can be surprised with the solar panels, which use the sun power to generate electricity. They are frequently used in smart home systems, household needs, and transportation. But solar panels do have one drawback, their production is costly. In trying to solve this problem, scientists from the University of Notre Dame has developed a special paint that can generate electricity from sunlight using semiconductor nanoparticles. The project is called Solarpaint. According to Prashant Kamat, researcher of University of Notre Dame Nanoscience and Technology Centre, doctor of science in chemistry and biochemistry, the head of this research, the idea of creating a solar paint derived from the desire to come up with an improved method of obtaining energy from the sun, surpassing existing technologies based on silicon. ACS Nano journal said that a team of researchers focused on nanoparticles of titanium dioxide, which were covered with sulfide and cadmium selenide. These particles are immersed in a special mixture of water with alcohol to make a paste. After paste application on the material with conductive properties, the electricity generation starts after sun lights exposure. The project manager marked that conversion of light into electrical energy using solar paint at the moment demonstrate only 1% efficiency, while solar batteries based on silicon have 10-15% efficiency. But the main advantage of the new technology is its significantly lower cost for large production volumes. 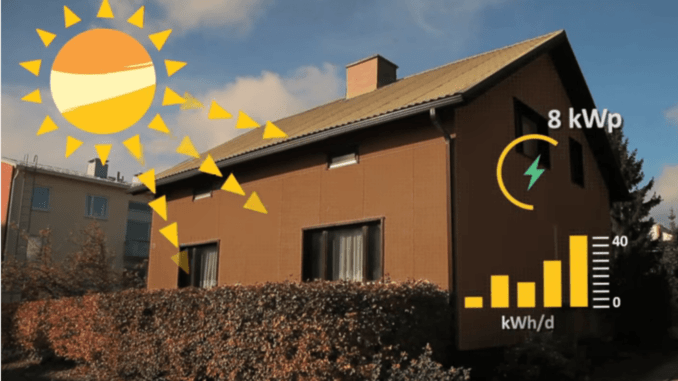 Now it is difficult to imagine, but maybe in the future, thanks to this promising technology, each coat of paint on the surface of the house will generate electricity. It can be used to supply electricity to appliances and equipment, thereby saving on utility bills and saving the ecology of our planet.